Two bombs exploded 12 seconds apart near the finish line of the Boston Marathon on Monday, April 15, 2013, killing three people — one of them an 8-year-old boy — and wounding more than 130 others. Pandemonium erupted as spectators scattered and doctors on hand to treat runners jumped in to help people with battlefield-type injuries, including severed limbs. Nearly two-thirds of the 23,000 competitors had already completed the run, meaning several thousand were still on the course. to the innocent, and full healing to all involved in this tragedy! 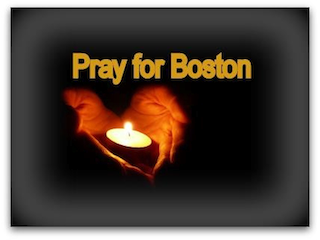 Share you love, sympathy, thoughts and prayer with those affected by the tragedy of Boston Marathon using comments below.